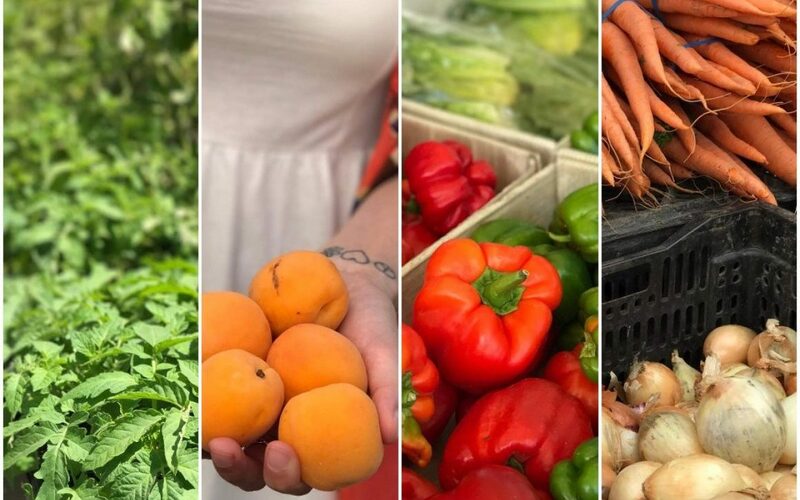 I said I was going to “share” this new blog with people after a month of posting. That would have been last month…. As of now, I still haven’t really told anyone (let alone given anyone the link!) about this blog-baby because I’m pretty nervous I’ll drop the ball and stop posting. So, instead of strictly sticking to my Veg Voyage, I will also be incorporating other aspects of my life. Hopefully, continuing with the theme of compassionate living but who knows? there may be some random posts here and there… I believe this will help me post on a more regular basis, making this blog more consistent than others have been. To start, I’m breaking down the products I use on a daily basis. I am by no means an expert on good vs. bad products to use but it’s a goal of mine to learn more about this topic. If you have any insight, please leave a comment! In the morning, I use only a hot washcloth to rinse my face. I learned this from my great grandma when I was little and have kept it a part of my beauty routine for years. Doing this, wakes me up and removes any sleepiness from my eyes. Next, I slather Olay CC cream on my face. I love this because it moisturizes and adds a touch of foundation all in one step. The only down side is it doesn’t have sunscreen. Eye brow powder is my other obsession and is the one thing I will NOT leave the house without applying. (Side note, I am naturally blonde and dye my hair darker so matching my eyebrows to my hair is IMPERATIVE.) I’ve been know to take this camping with me and “put on my eyebrows” it in the middle of the woods. Lastly, time permitting, I’ll brush some bronzer on so I actually look like I live in California. Lately, I’ve been using soap I’ve taken from stays at hotels because my collection (aka hoarding…) was getting out of control. Typically, if I am going out I wear A LOT more make up and actually put some product in my hair but this is just a list of my usual, day-to-day, uses. In the near future, (hopefully!) I am going to enlist a friend’s help to figure out if what I’m using is terrible for my skin and the environment and, if so, some better alternatives. PS. 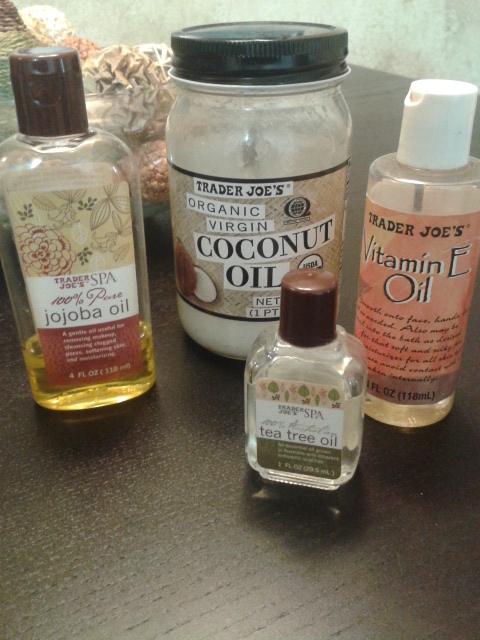 I have a serious Trader Joe’s oils addiction and I’m not ashamed… Coconut and Vitamin E oil are amazing for your skin; Jojoba takes off make-up like that; and Tea Tree Oil zaps zits better than anything you’ve ever tried before! Loreal does test on animals 😦 I know almay does not..